This post is about another aspect of strap personalization. The right fit! Ludwig Oechslin’s special buckle for ochs und junior watches requires no loops. The tail of the strap is tucked inside against your wrist. The fit is extremely comfortable, and the part of the strap which receives the most stress is eliminated. As you might imagine, the strap for this buckle needs to be precisely matched to your wrist size. 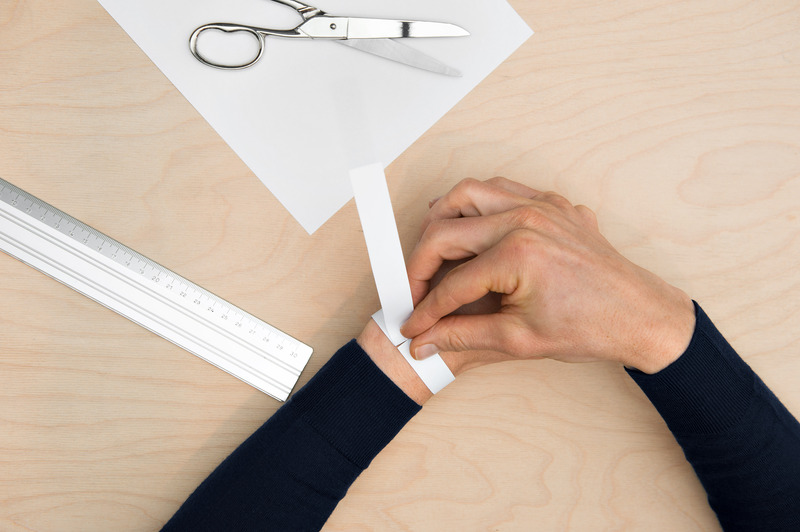 In the past, we have offered a printable PDF tape measure for taking your wrist measurement. 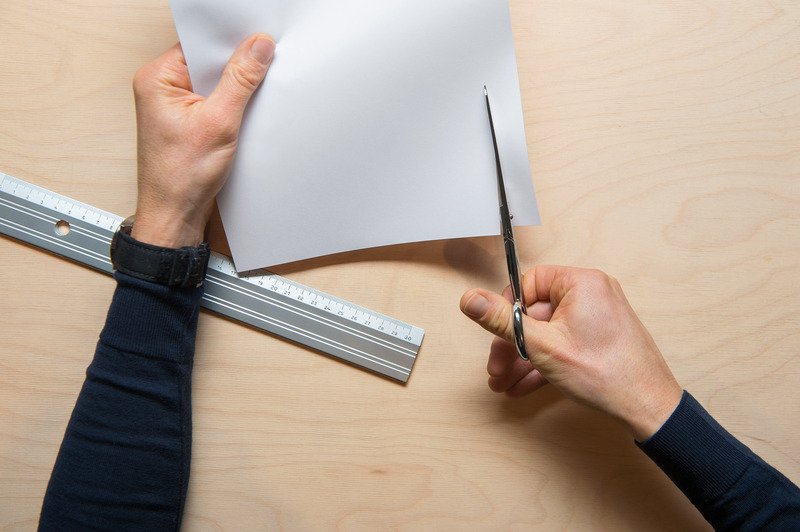 The problem was, by default some PDF applications automatically scale your printout to fit your paper size, and this can lead to incorrect measurements. The simplest way to measure your wrist size is old-fashioned, and it will get you the right result every time. The first step is to cut a strip of paper. Next, wrap this strip of paper tightly around your wrist and bend the paper where it meets. 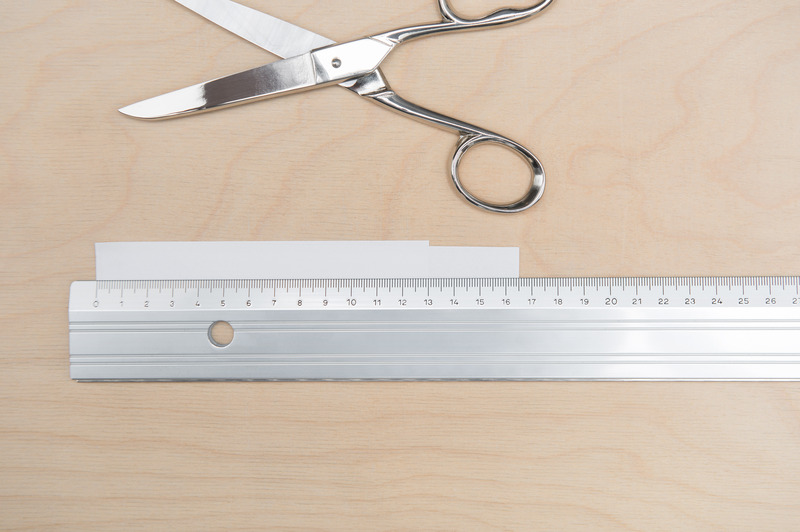 Finally, lay this strip of paper next to a ruler to take your measurement. Voilà! 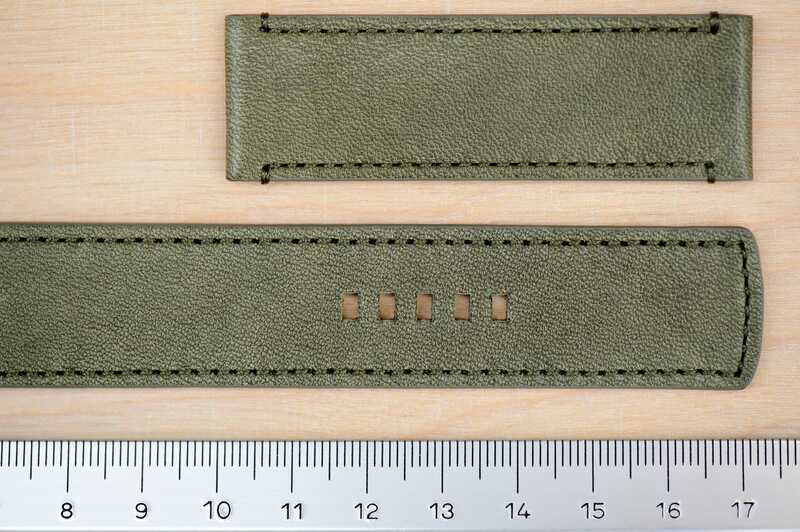 If you send us this number in mm or inches when you place your order, we will fit your ochs und junior with the perfect size strap for your wrist.